with us for several years. and standard of living of our citizens was not unduly impaired. turnaround in the economy which is underway. - 4.14 billion cubic feet per day in 2021.
future, in stark contrast to the empty posturing and grandstanding of the past. is already bearing fruit, from a revenue outlook. sector) in 2019 of 1.2 percent rising to 2.9 percent in 2020.
lackluster performance of the economy over the 2013 to 2017 period. increase year-on-year of $835 million. the period October to April by $1.3 billion. percent in 2017, the actual growth figure will be closer to minus 1 percent. averaged US$59 over the first 6 months of the fiscal year. WTI crossed US$71 per barrel yesterday. could reach as high as $900 million in 2018, which was not budgeted for. 2018 of 3.6 percent and 3.7 percent respectively. borrowing of $3.69 billion and net domestic borrowing of $1.07 billion. I can now report that our revenue projections for 2018 are on-track. March 2018, as compared to the projected collections of $18.7 billion. wages and salaries has remained as budgeted. and we expect to close out the year at close to $4 billion in PSIP expenditure. contributing factors to this reduced level of programmed expenditure. projections for the FY 2018 Budget should remain as is for the time being. our fiscal targets for FY 2018. GDP. Progress is indeed being made! time of plenty from 2011-2015.
saw a small increase in foreign reserves between March and April 2018! we devalued the dollar to 10 to 1. How wrong these “experts” were. despite withdrawals totaling US$637 million between 2016 and 2017.
credit rating but our outlook might have been retained. the credit rating of Trinidad and Tobago has not been downgraded. in the non-energy sector would be strengthened. Bank of Latin America or CAF. share with you some of those activities. the East-West Corridor is scheduled for completion by the end of 2019.
works are far advanced at the Vessigny Beach Facility. Multi-Training Facility as a first world hospital and medical training facility. 500,000 of our citizens in North Trinidad. Unlimited (TGU) owned by GORTT, inter alia. of the recovery of the $23 billion pumped into the Clico Bailout. already held by the Clico Investment Fund. shares of Home Construction, valued at $476 million. other assets to be recovered. realize our projected capital revenue by the end of July 2018.
our citizens and $6 billion in cash and other assets. that we are discussing in this debate. we are doing and achieving. We are doing so much. advancing to the Request for Proposal Stage. valuation of 50% of properties in Trinidad and Tobago in various categories. This major institutional reform would underpin our efforts to stem the revenue collection leakages now inherent at the levels of the Board of Inland Revenue and the Customs and Excise Division and also to strengthen our compliance risk management methodologies. reforms are contributing towards the establishment of this foundation. the last 2 ½ years, our economy is turning around. experiencing growth and recovery in 2018.
on the road to economic revival. increase in expenditure under other Heads. I thank you and I beg to move. 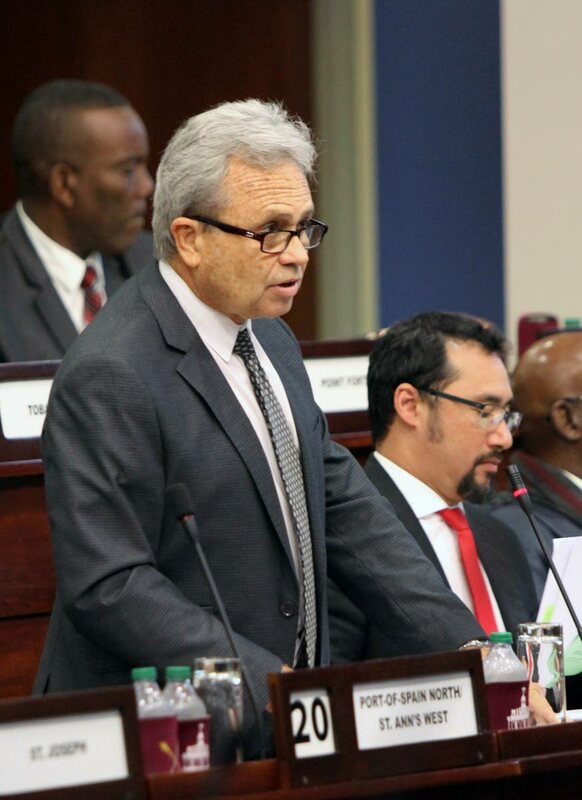 Reply to "2018 mid- year budget speech by Minister of Finance Colm Imbert"